The company, whose bright green buses are already a familiar sight on European roads, will from May 31 run 180 routes daily connecting seven US cities, including Los Angeles, San Diego, Las Vegas and Phoenix. 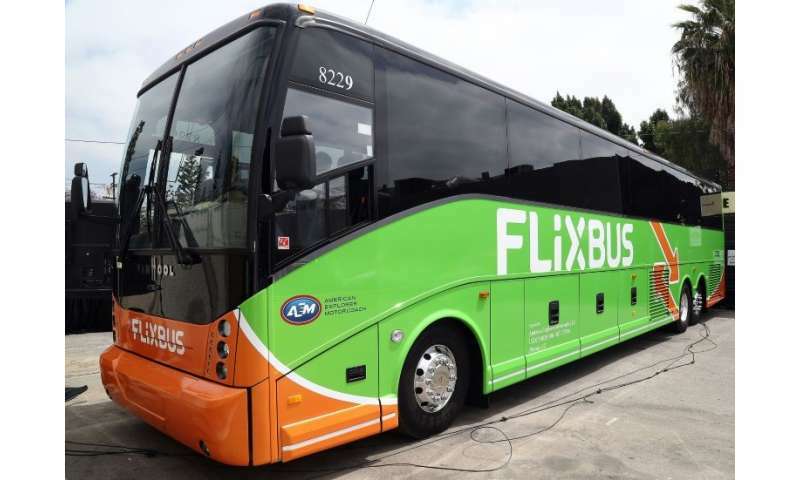 The Flixbus website is offering one-way tickets from LA to Las Vegas for $9.99 (8.43 euros) in early June, compared with around $20 on Greyhound. "We have revolutionised the perception and use of coaches in Europe," Flixbus co-founder Andre Schwaemmlein said in a statement. "We are impatient to share our vision of mobility with consumers in the United States." Founded in 1914, the Greyhound Lines company is still the US' biggest intercity bus service although it has faced growing competition from smaller upstarts in recent years. Its buses have been immortalised in countless US films and TV shows, making it a brand known around the world.